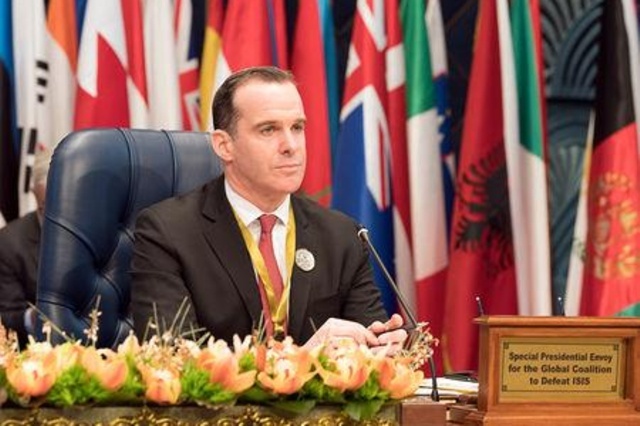 WASHINGTON (Reuters) – Brett McGurk, the special envoy for the global coalition to defeat Islamic State, submitted his resignation on Friday, effective Dec. 31, a U.S. State Department official said on Saturday. A person familiar with the matter said McGurk has quit because he objected to President Donald Trump’s decision to pull out U.S. troops from Syria, a decision followed by the resignation of U.S. Defense Secretary Jim Mattis a day later. CBS reported McGurk’s resignation earlier on Saturday.